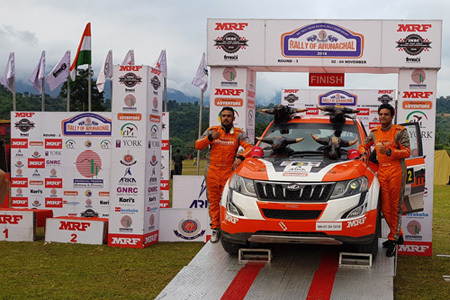 ITANAGAR, Nov 4: On a day of upsets, Team Mahindra Adventure’s Amittrajit Ghosh showed great tactical acumen to win the Rally of Arunachal – the third round of the MRF FMSCI Indian National Rally Championship 2018 – here on Sunday. Ghosh, who exhibited an amazing fight-back on Day 1 to rise from ninth to third, enjoyed a much-needed slice of luck as overnight leader Gaurav Gill pulled out of the competition as his car broke down in the sixth stage. He tackled the day’s three stages cautiously, finishing second in SS5, third in SS6, and again second in SS7 for a cumulative top timing of 00:57:33.6. It was 5.9 seconds faster than INRC 2’s Phalguna Urs and Srikanth, giving them the victory. The Snap Racing pair, who were hot on Gill’s tail all of Saturday, didn’t have a fruitful second day, managing only fourth-place and one fifth-place finish in the stages. Phalguna’s drive was still good enough to earn his team the INRC 2 win. Former champion Karna Kadur (with PVS Murthy) made a valiant charge, taking the second place in SS6 and even winning SS7; but that could only fetch him the runner-up trophy. Kadur’s Arka Motorsports teammate Rahul Kanthraj (Vivek Y Bhatt) dropped one position to settle for the third place. The INRC 3 too saw a change in the pecking order, with leaders Suhem Kabeer (Jeevarathinam) of Team Champions slipping out of reckoning in the day’s first stage itself after a crash. It allowed his teammate and defending champion Dean Mascarenhas (Shruptha Padival) to claim the title. Aroor Vikram Rao (Somayya AG) and local outfit Phurpa Tsering (Chow Tiktha) took the other two places on the podium. 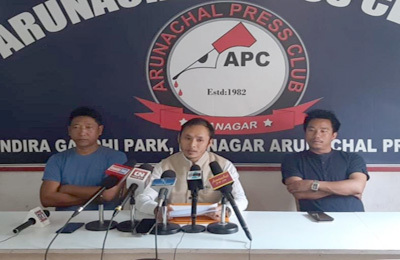 “We started the Rally of Arunachal on an ominous note, taking the ninth place due to a technical issue. 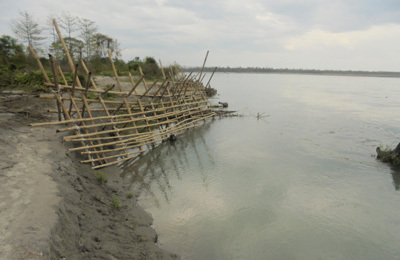 But I and Ashwin kept pushing until we managed to bounce back to the pole,” a victorious Amittrajit said. “Today too, we suffered as we had changed the tyres for wet conditions but the track dried up by the time we hit it. But we drove steadily to win the title, which became easier after Gaurav pulled out with a mechanical failure. We are now looking forward to the next two rounds, even though we know that Gaurav will be back in his elements and will put up a tough fight,” he added.